Its model number and name are #202 / Mera. Character Bio - Mera was a princess of Xebel who was sent through space-time by her father to kill the king of Atlantis, known to surface-dwellers as the hero Aquaman. However, that plan backfired when Mera fell in love with and eventually married the man she was supposed to kill. As Queen of Atlantis, Mera has ruled and fought by her husband's side, leaving her past with Xebel behind. Mera has the unique ability to form "hard water" objects via aquakinesis. 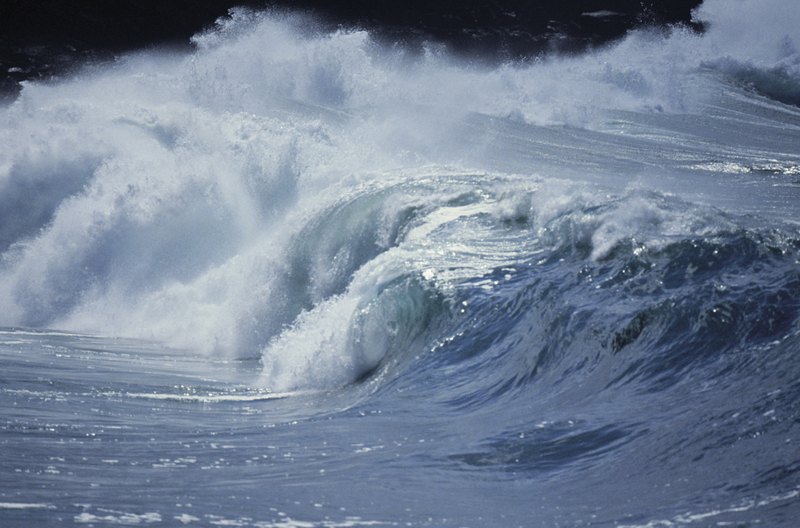 She has been shown to be powerful enough to control, albeit briefly, huge amounts of water, enough to pull an entire army out to sea. Due to her intended role as an infiltrator and a killer, Mera received extensive training in Xebel, becoming a formidable warrior. During the events of the Blackest Night, Mera briefly became a member of the Red Lantern Corps. As an Atlantean, Mera has these Atlantean Synergies. If Aquaman is in your army, Mera may boost either the attack or defense of Atlanteans you control. Current Aquamans and Atlanteans. Love of Atlantis: Heroes named Aquaman include: Aquaman (I), Aquaman (II). Atlanteans include: Aquaman (I), Aquaman (II), Sub-Mariner, Aqualad, Tempest. Last edited by Ronin; November 8th, 2017 at 09:36 PM. Mera does not stop her movement when entering water spaces. Add 2 dice to Mera's attack while she is within 2 spaces of a water space. If you control Aquaman, add 1 to the Defense numbers of Mera and all Atlanteans you control within 4 clear sight spaces of Mera. If Aquaman is in your army and he is destroyed, add 1 to the Attack numbers of Mera and all Atlanteans you control within 4 clear sight spaces of Mera. After moving and instead of attacking with Mera, if she is within 2 spaces of a water space, you may choose up to 4 figures within 4 spaces of Mera. One at a time, roll the 20-sided die once for each chosen figure. If you roll 14 or higher, you may either inflict one unblockable wound on that chosen figure, or place that chosen figure on any empty space within 4 spaces of its original placement. Figures moved by Aquakinesis will not take any leaving engagement attacks. Mera does not stop her movement when entering water spaces. Add 2 dice to Mera's attack and defense while she is on a water space. If Mera is within 6 clear sight spaces of an Atlantean King you control, add one to the Defense of Mera and all Atlanteans you control within 6 clear sight spaces of Mera. 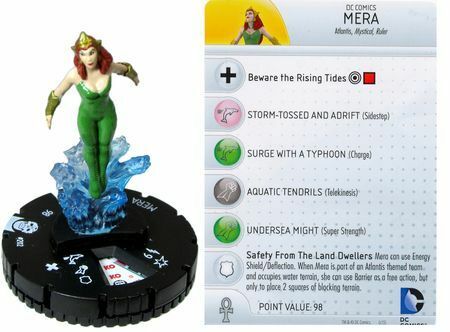 Instead of attacking, if Mera is within 2 spaces of a Water tile, you may roll the 20-sided die for all opponents' figures within 4 spaces of Mera, one at a time. If you roll 11 or higher, the figure receives one wound. Last edited by Arch-vile; March 12th, 2015 at 06:17 PM. Aquaman is one of my favorite C3G designs, so I'm excited to see him get some support! Great design. Its model number and name are #028 / Mera. Is such low survivability really accurate here? I mean in Blackest Night she went toe to toe with Black Lantern Wonderwoman for awhile (while nowhere near water, and while Aquaman was a zombie), but 3 defense 4 life is like D-list Batman villain level. I thought that was after she got a red ring? Or was that before? I apparently need to reread that comic again. I thought that was after she got a red ring? Or was that before? I apparently need to retread that comic again. Non-Lantern Mera is fighting Black Lantern Wonderwoman, then they are temporarily deputized into Red and Violet respectively (severing Necron's hold on Wondie in the process). At no point does Red Lantern Mera fight Black Lantern Wonderwoman, she sort of stands beside her while the rings fight for control, but that's it. Yeah, I'd like to look at increasing Mera's base stats. Mera can fight, and takes on some strong opponents in both Brightest Day and Blackest Night. 5 life and 4 defense would be more thematic, in my opinion. HGuy- Red Lantern Mera fights Star Sapphire Wonder Woman for a while; maybe that's what you're thinking of. Yeah I'd be happy to see her almost equivalent to Aquaman. When on water spaces, the two Aquamans are 5L/5M/3R/8A/7D and 5L/5M/1R/6A/6D (with a ranged SA and Submerge 11). I think 5 Life and 4 base Defense here would be justifiable. Hard Water is pretty good, as long as she's on a map with water. I could see tweaking the rolls or range if testing shows it too powerful. Otherwise, she looks good to me. Remember, we're trying to go with the iconic version, not the version in that one comic where she totally chumped that one superhero.